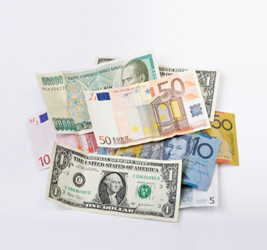 All major currencies accepted when paying online by credit card. Prices quoted and confirmed on the website and on your e-mail invoice are in pounds sterling. When you go to pay online, the payment system will auto-detect your bank card’s currency and you will be offered a choice of paying in Pounds Sterling or a competitive rate in your own local currency. We also accept payment in euros via bank transfer. Please speak with one of our staff for more information.